The Form 2 delivers high-resolution parts at a fraction of the cost and footprint of industrial 3D printers. Scale your prototyping and production in-house with desktop stereolithography. 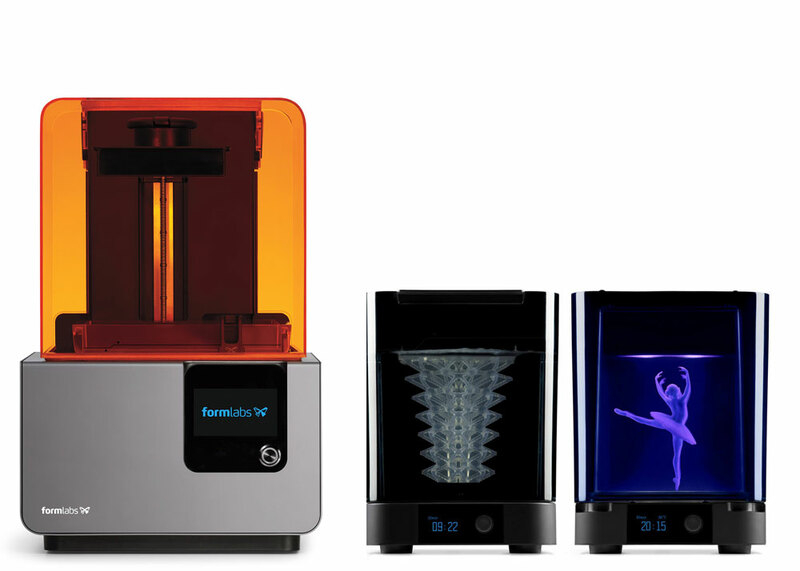 With the best materials science team in the industry, Formlabs is constantly developing new additions to their library of advanced resins. For the best results and mechanical properties, all SLA parts require IPA rinsing and post-curing. Form Wash and Form Cure streamline and automate post-processing of Form 2 prints, consistently producing high-quality results. Can I buy in my own resins? Yes you can as long as you have run it past us first, You may need to buy a resin tank to go alongside the resin cartridge. How fast is the printer in comparison to standard 3D printers? Is this more expensive the standard 3D printing? Can I use the it myself?